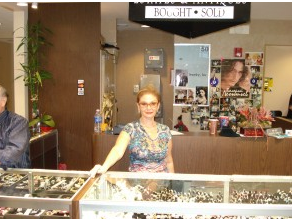 "We offer the FINEST JEWELRY SELECTION that you will see ANYWHERE"
Unrivaled selection of diamonds and colored stone jewelry creations from all over the world. FIND OUT WHY EUROPEAN CELEBRITIES ALWAYS SCHEDULE A VISIT WITH US WHEN VISITING THE STATES! You won't believe your eyes and the selection is matched by our personal service!